Your source for unlimited free soda all weekend, the ConSweet is a specialty of our amazing Con+Alt+Delete experience! 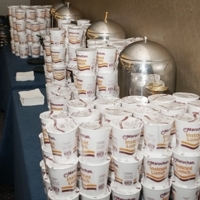 Get free ramen and free soda as part of your convention experience! The ConSweet is a room open throughout convention operating hours that lets you stop in, have a break, and get free cup Ramen noodles and free fountain soda pop.